Have you bought your holiday cards yet? We just ordered ours, so hopefully I’ll be able to send them out next week! We always put a lot of thought into the cards we send – we go out and take photos of the boys, then either design our own cards or hunt down a perfect design to use. In the past we’ve put all that effort into our cards but wasted the opportunity to make a personal statement and great first impression with custom stamps. I’ve always thought they were a cool concept, but wasn’t really sure how they worked. 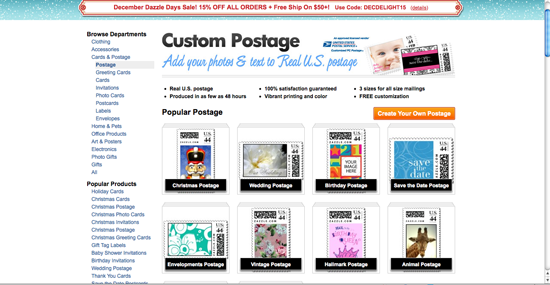 Zazzle makes it a quick, simple process for you to create your own stamps that will set your envelope out among all the mail your friends and family receive. There are a ton of options available beyond creating your own; you can find all sorts of different designs ready and waiting for you! The quality of the stamps is great – there’s a slight gloss to them just like on stamps you’d purchase from the post office, and the colors are vibrant. They’re a good size, too, so the photo really shows well. We love that people get a fun preview photo of the boys and that it ties in to the images in the card. I can just imagine all the different instances you could use custom stamps – for example, my sister-in-law just got engaged; she might want to use custom stamps on her wedding invitations, using an engagement photo or bridal portrait for the stamp image. Fun, right? Just think of all the ways you can use custom stamps from Zazzle to make a statement! 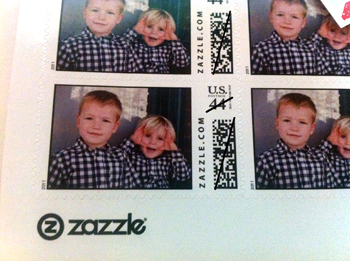 Note: We received custom stamps from Zazzle to facilitate our review. All opinions are honest and are my own. Those turned out so cute! I must be really out of the loop, because I didn’t even know a site just for personalized stamps existed. I did these for my graduation announcements and people raved! It is such a great little personalization to add! 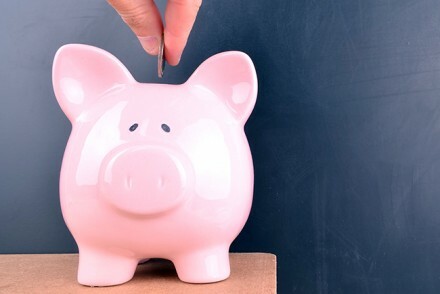 This is a little thing that will set your things apart. What a cool idea. I need to get some of these made for my baby’s birth announcement.